Storage Conditions: Keep away from direct sunlight and store in a cool dry place. Keep refrigerated after opening and consume soon after opening. 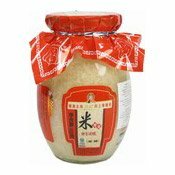 Ingredients: Glutinous Rice (70%), Wolfberry (13%), Water, Emulsifier (E473), Preservative (E262(i)), Acid (E296), Dried Yeast. 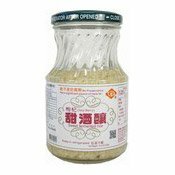 Simply enter your details below and we will send you an e-mail when “Sweet Fermented Rice (Wolfberry Flavour) (甜酒釀(杞子))” is back in stock!